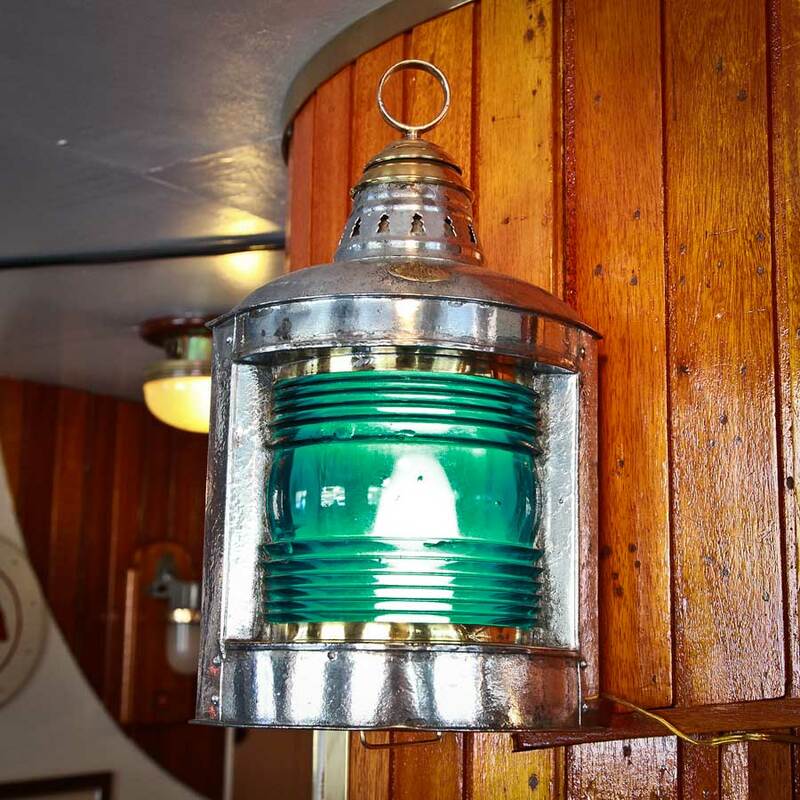 A good sized pair of American mfg port and starboard ships running lamps. Made by Perko Inc. of galvanized sheet metal and brass. Painstakingly polished to a silver like finish and lacquer coated in our restoration shop. 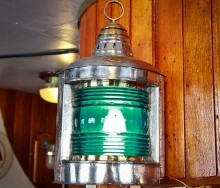 Outfitted to be wall mounted. 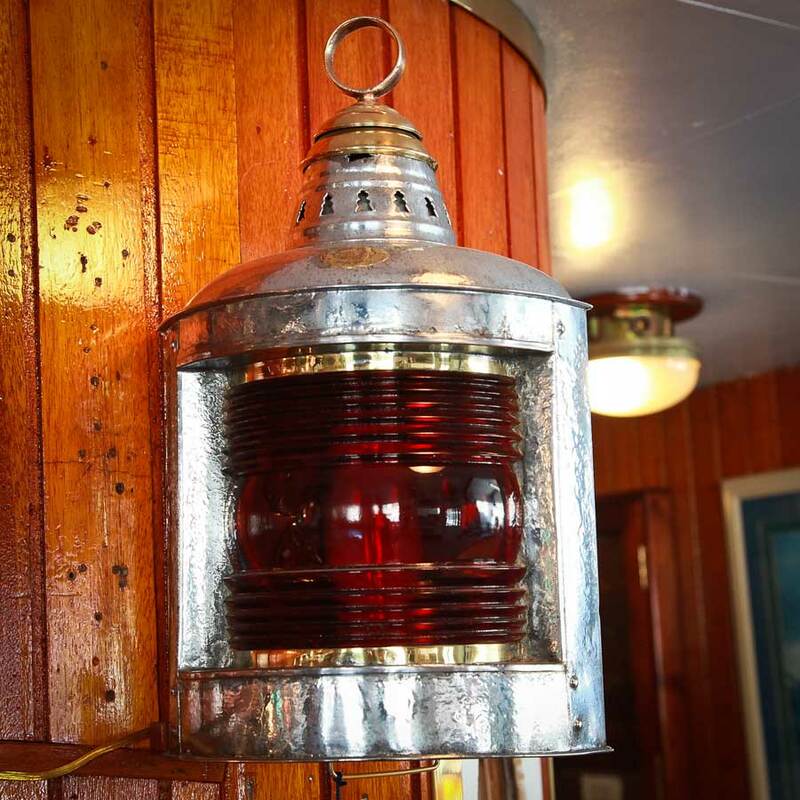 This pair of lanterns was originally oil powered but have been converted to 110 volt electric. 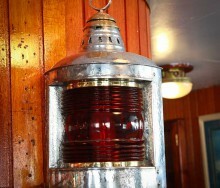 Measuring 18″ tall overall with 6.5″ tall red and green Fresnel lenses. They protrude about 8 inches from the bulkhead. Sold as a pair…click on photo below for better visibility…WE PACK AND SHIP WORLDWIDE !